Cesar Sayoc Jr., suspected of sending at approximately 13 potentially explosive devices to Democratic leaders and public figures, faces five federal charges and up to 58 years in prison if convicted. 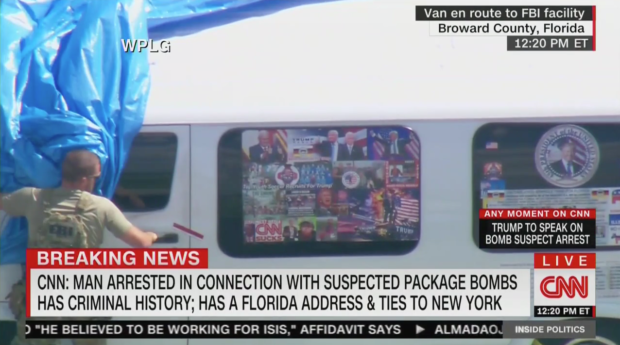 The five charges are interstate transportation of an explosive, illegal mailing of explosives, threats against former presidents and certain other persons, threatening interstate communications, and assaulting federal officers. Jeff Berman, the U.S. attorney for the Southern District of New York, called Sayoc’s conduct “insidious” during a press conference on Friday afternoon. Sayoc has a criminal history that includes charges for grand theft and felony distribution of steroids, according to publicly available records. “The defendant’s conduct as charged is cowardly and reprehensible and totally anathema our democracy. And now the defendant faces a potential total of 58 years in prison. This is an ongoing and active investigation,” Berman added. A bomb was also mailed to left-wing billionaire George Soros. 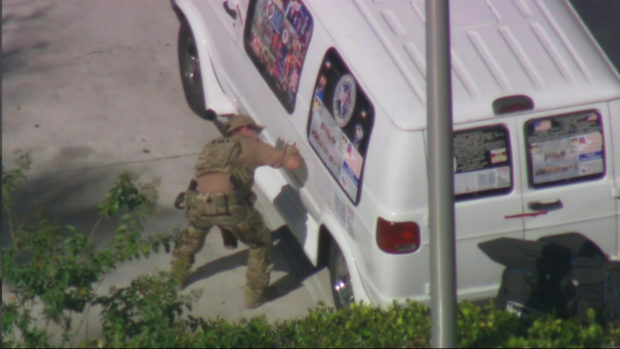 Sayoc demonstrated support for President Donald Trump on social media. The federal complaint document reveals that FBI investigators found a latent fingerprint on one of the envelopes and matched it to Sayoc. Investigators also found a “possible DNA association” between DNA found in two of the envelopes and Sayoc’s DNA on file with law enforcement.